Jon A. Olin, P.E., Senior Structural Engineer and manager of the Bridge and Transportation Group in our Burlington, Vermont office, is among 40 “Rising Stars” recognized by Vermont Business Magazine. Each year the magazine selects 40 winners under the age of 40, chosen by a panel of judges for their commitment to business growth, professional excellence and community involvement. 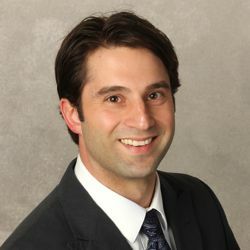 Jon grew up in southern New York State, and after graduation from the University of Delaware with a Bachelors of Science degree in Civil Engineering, began his career as an engineer in New York City, New York. He and his wife soon decided that they wished to make New England their home and settled down in northern Vermont. He has designed various transportation projects including multi-span bridges, pedestrian and bicycle facilities, downtown redevelopments, specialty buildings, retaining walls, and FEMA emergency response transportation projects in Vermont making it a safer place to both work and live. Recent activities have included working with many communities to rebuild after Tropical Storm Irene. Jon takes pride in serving communities in his home State. When Jon is not serving the engineering needs of Vermont municipalities, he volunteers as the Treasurer at Pine Forest Children’s Center, a non-profit childcare center, serving 80 children with 23 staff, with $1M annual revenue. In his free time he enjoys outdoor sports and activities including golfing, hiking, snowboarding, snowshoeing and keeping up with his two active young boys.